Originally founded in 1985, the team here at Borderwell Ltd provide the highest standard of plumbing and electrical work. We offer our services to a number of customers located in and around the Canterbury area. Whether you are a commercial or domestic customer, we are able to deliver all UPS systems. Also known as uninterruptible power supply, the systems allow you to provide the power protection you need. As we offer UPS offline, line-interactive an online, you can be sure that your business is safe and sound. We work with marine, commercial, industrial, domestic and retail clients. All electrical work is carried out in accordance with BS7671 regulations, ensuring your safety at all times. 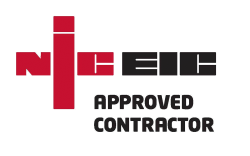 As we are NICEIC approved contractors, you can fully trust all work that we carry out for you. Whether you are searching for plumbing or electrical work, feel free to give us a call today on 01304 820 201 or fill in our contact form. When it comes to protecting your power supplies, it is important that every business takes this seriously. Whether a small start-up or a larger organisation, installing a UPS system ensures that you have a backup. If anything does happen with your supply, then it is comforting to know that you will always have a power supply. These systems are often used to provide protection for a wide range of technology, including data centres, computers, and telecommunications equipment. A major advantage of these is that they provide an almost instantaneous supply of power, preventing major damage or loss. We provide all UPS systems and can answer any questions you may have. To find out more, please feel free to get in touch. Offering torque control and speed for electric motors, an inverter is a key item when it comes to the running of any business or home system. These pieces of equipment can also be known as VSD (Variable Speed Drives), AC Drives, and VFD (Variable Frequency Drives). They work by providing the electrical supply into the drive. This then feeds the motor once the power has been regulated. Once within the motor the power goes through a rectifier, converting AC to DC power. As a way of controlling power, inverter drives can save you money and valuable maintenance costs. To add to this, with the right systems you can improve the productivity of your business. One way of saving electricity for your business is to use a power factor correction (PFC). As an energy saving product, this can provide many benefits for your systems. If the KVAR rating is 0.85, then it will use more electricity compared to if the KVAR rating is 0.98. There are two types of PFCs, passive and active. Passives are often an efficient and inexpensive solution to many power set ups. However, they have no voltage regulation, a limited range of input voltages, and are large and heavy in size. In contrast, active PFCs are smaller, lighter, flexible, and attain a power factor of at least 0.95. Furthermore, they have greater control and a wider range of AC input voltage and frequency. Although it is worth remembering that these are higher in cost, more complex and require increased filtering. This is as a result of the high frequencies which can enter the line. There are several benefits to PFCs. These include lower losses, improved efficiency, and a reduction in CO2 emissions. As an electrical tool which regulates the overall flow of electricity within a system, a switchgear is combined of fuses, electrical disconnect switches, and circuit breakers. Primarily they work to protect, control and isolate electrical equipment. Most businesses use these for two main reasons. Firstly, to prevent short circuits and overloads from occurring and secondly to de-energise circuits for maintenance and testing. It is important to keep these pieces of equipment in full working order. Without regular maintenance, they can cause a risk to health and safety. Our team are experts at working with switchgears and many other items, including UPS systems. Located within the county of Kent, the city of Canterbury has an estimated population of 55,000. Canterbury can be traced back into prehistoric times, with research suggesting there have been settlers here since the Palaeolithic and Neolithic ages. The area is known for its world-famous cathedral and as a UNESCO world heritage site, there are plenty of places to visit. There is St Augustine’s Abbey, the Roman Museum, and Greyfriars Chapel and Franciscan Gardens. If you are located in or around Canterbury and are looking for UPS systems or more, please feel free to contact our teams today. At Borderwell Ltd we ensure that every job we complete is finished to the highest of standards. 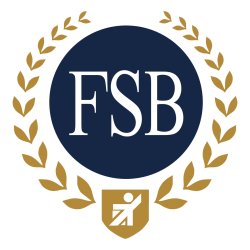 Whether you are a commercial or domestic client, you can rest assured that we will work hard to provide you with what you need. Whether you would like to find out more about the UPS systems we offer or about our other services, contact us today. You can give the team a call on 01304 820 201 or fill in our contact form here.